Fernanda Gomes was born and still works in Rio de Janeiro. Her work is within the tradition of Latin American art that engaged in the postwar era with constructivism and minimalism. Lygia Clark, Helio Oiticica, Lucio Fontana are the names that come to mind when thinking of her Latin American antecedents but in terms of her Northern American forebears it is the Minimalist generation of Robert Ryman and Richard Tuttle that have a bearing on her work. Fernanda Gomes should neither be seen as a Minimalist, nor as an artist in the tradition of Arte Povera, to which her work also clearly relates.Rather she makes paintings, and more particularly sculptures which are intimate, that examine the interface between sculpture and painting, that look at the gap between the intentional and the accidental as well as the purity of form that is disturbed by the patina of age and time. Her action in bringing materials together is transformative. She sees her works as things, rather than paintings or sculptures, things that relate to and have an effect on the space they inhabit. Gomes’s use of found materials is infused with a strong sense of humanity and vulnerability. Fernanda Gomes was born and still works in Rio de Janeiro. Her work is within the tradition of Latin American art that engaged in the postwar era with constructivism and minimalism. Lygia Clark, Helio Oiticica, Lucio Fontana are the names that come to mind when thinking of her Latin American antecedents but in terms of her Northern American forebears it is the Minimalist generation of Robert Ryman and Richard Tuttle that have a bearing on her work. Fernanda Gomes should neither be seen as a Minimalist, nor as an artist in the tradition of Arte Povera, to which her work also clearly relates. 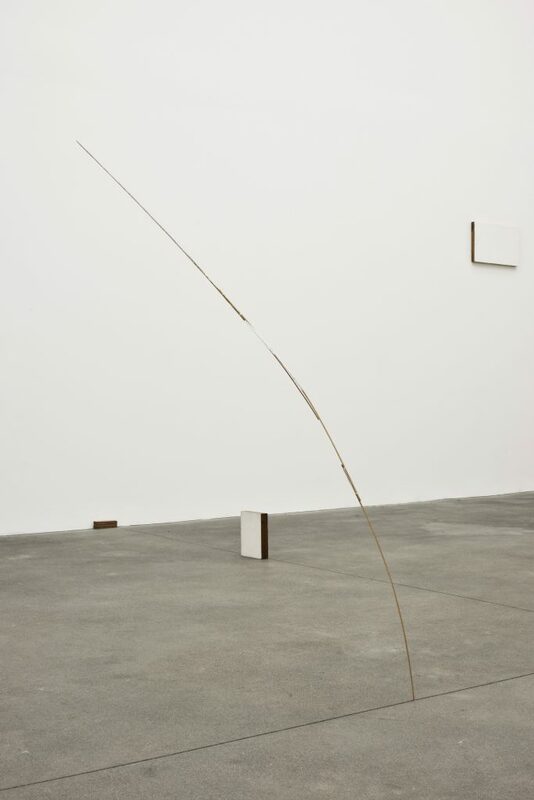 Rather she makes paintings, and more particularly sculptures which are intimate, that examine the interface between sculpture and painting, that look at the gap between the intentional and the accidental as well as the purity of form that is disturbed by the patina of age and time. Her action in bringing materials together is transformative. She sees her works as things, rather than paintings or sculptures, things that relate to and have an effect on the space they inhabit. Gomes’s use of found materials is infused with a strong sense of humanity and vulnerability.